We are holding our Tabernacles/Sukkot at Sugar Springs It is one of Mid-Michigan's finest recreational facilities. Beautiful hiking trails windi throughout the forest hills. We will be nestled in the woods at a rustic chalet at the Sugar Springs campground. The chalet has a stone fireplace, picnic tables, and large windows to view the beautiful wooded scenery. This is a perfect setting to fellowship and learn more about our Creator. We will be studying Torah and also have guest speakers scheduled each day. There will be a children's program and crafts planned each day. Our group is expected to be 50-100 people. We are a very friendly and loving group. We welcome you and believe that a stranger is just a friend you haven't met yet. 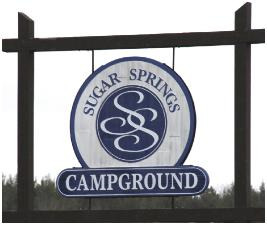 Sugar Springs resort is 1 mile from the campground and has a golf course, pool, and tennis court. Sugar Springs is a recreational community and the public are welcome. If you like water, you’ll love the two clean & clear all-sports lakes: Lake Lancer with 780 surface acres and Lake Lancelot with 230 surface acres. Boat docks and launches are available at both. The Sugar Springs golf course has been rated at three stars by Golf Digest and listed as one of the 25 Best Public Courses in Michigan by The Michigan Golfer. Sugar Springs guests and residents participate in a wide variety of physical and social activities. The new indoor pool, fitness center, and activity building is recreation central at Sugar Springs. 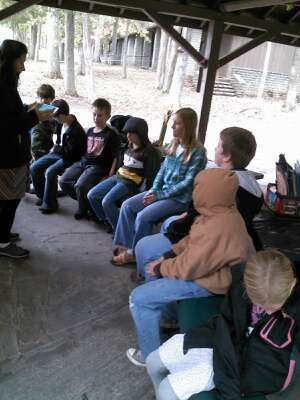 The Tabernacle services will be held in the rustic chalet at the Sugar Springs Campground. The center of the Chalet has a stone fireplace. This will be warm and cozy for a September Sukkot in mid-Michigan. We are a relaxed group and have 2 meetings a day scheduled. We welcome Truth Seekers and if you have a presentation to give please contact us. Dress comfortable and warm. Casual dress even for Sabbath as we are camping. 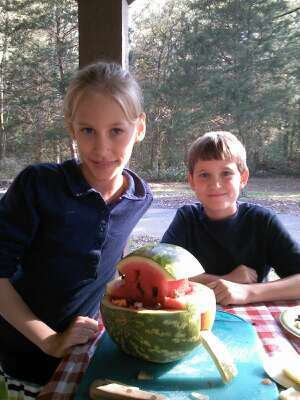 Sugar Springs Campground offers 35 sites in a beautiful wooded setting. All sites are equipped with electricity and picnic tables. There is 30 or 50 amp service at each site and a fire pit. The Chalet is the focal point of the campground with a fireplace, heated showers, and toilets. There is a water filling station, waste water dump station, free WiFi, and playground. Northwoods Motel is only 2.5 miles from the Sugar Springs Chalet, our Tabernacle meeting place. Large yet cozy rooms with television, small refrigerator, air conditioning, coffee in rooms, with a restaurant next door. Located between Gladwin and West Branch. Pet friendly accommodations are available. These special rates are available only for our group ask for Brook, the motel manager, mention ‘Tabernacles 2018’. Dinner meals will be provided in the early afternoon. You are on your own for breakfast. (If you want to contribute an offering for expenses that is OK but it is not required. We don't want anyone to be left out because of cost). Musicians please bring your instruments and music. We have guest presenters scheduled, If you have a presentation please let us know as soon as possible and you may be able to present.